Läs denna information på svenska. When talking about the city of Gävle, most people will mention a giant straw goat, an ice hockey team and coffee. Gävle also has the best of many worlds. We live close, yet slightly outside the metropolitan region. We like our wide selection of sports events and we like seeing the city boiling with ice hockey fever, we like our many restaurants and outdoor cafés, we like having a picknick in the Boulogner Forest and we like taking a round of golf on the local course. We like the proximity of Gävle, which is what makes life a lot easier. We like having most things within biking/cycling distance and we are only 60 minutes away by train to Arlanda and on to the rest of the world. More and more people like Gävle. The city’s population is currently 101,000 inhabitants and it is growing by about 1,000 inhabitants per year. 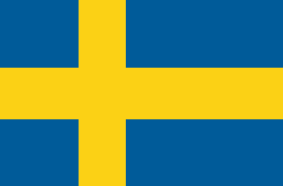 With many more choosing to visit, settle down, establish their own companies, host conferences, build, study, operate and develop their own connections here in Gävle. You are most welcome to do so, too! The regional capital by the sea, with a bright future and a great location. Visit Gävle is the official tourism guide for the Gävle region. Here, you will find places to stay, activities and events - everything you need to know as a tourist or visitor!